Sony showed off three new concepts at the Mobile World Congress today, but they all share one thing in common: They’re a little bit creepy. 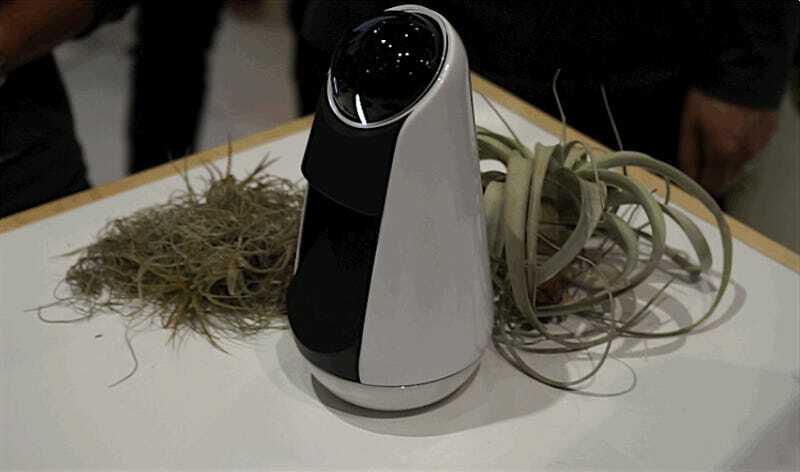 Among the products on display were a life-logging camera, called Xperia Eye; a projector, called Xperia Projector; and a little robot somewhat similar to the Amazon Echo, called, worryingly, Xperia Agent. The Agent is probably the most interesting. A digital assistant, it’s like an Amazon Echo on steroids. Despite its cute looks, it has a camera to identify people and its surroundings. But it’ll also interact with you to provide information—weather, appointments, reminders, the usual stuff—as well as helping control some domestic utilities such as lights or heating. 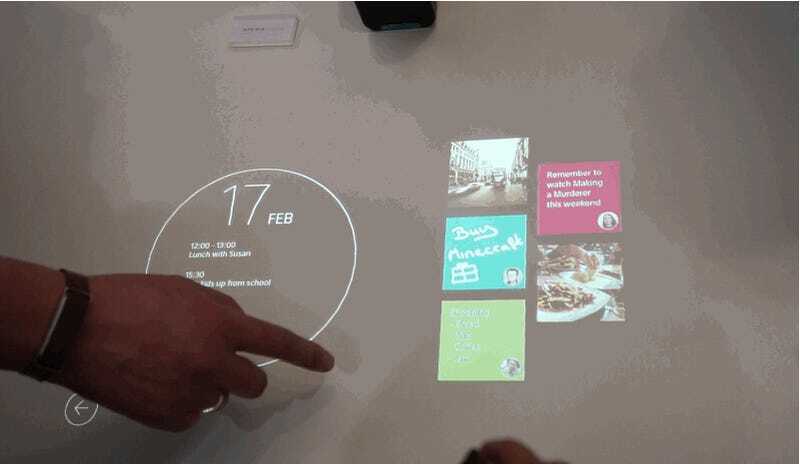 The Projector, meanwhile, projects an interactive UI on your wall that you can touch or modify as you need to. The idea is to place useful information—weather, your calendar appointments or reminders, say—to hand throughout the day. We’re not sure if touching your wall all day is the best way to keep your house clean, but there’s probably a robot on the way to help with that. Finally, the Eye is less remarkable: A wide-angle lens camera that you wear all day to capture and register your everyday routine. But it does have some interesting capabilities, such as the possibility to spot faces and voices and then automatically photograph the appropriate moments. Not weird and stalkerish at all! I think there’s a NSA agent clapping somewhere. It’s unlikely all these devices will hit production anytime soon. But they do hint at the kind of future Sony thinks we’ll all be embracing. Great?